I am so touched and moved by reading this, Terri. I wish Ms Oikawa the greatest of success in her re-built studio. May it bring her friends and fellow weavers peace and harmony. I hope that the rebuilding of Ishinomaki will bring healing. I can’t imagine the depth of grief that the people of Ishinomaki must be feeling. Thank you so much for bringing us this personal glimpse of their lives so that we can hold them in our hearts! It is an amazing journey. When Akiko asked if the banner could go to the opening of this studio – of course I said yes, and felt so honoured. To see the photos of the devastation and then the bright green studio of hope was so moving! Thanks Kaz. It started when the World Peace Forum was in Vancouver – they were looking for speakers to talk about Peace. I didn’t have anything to say with words, but feel so strongly about it. 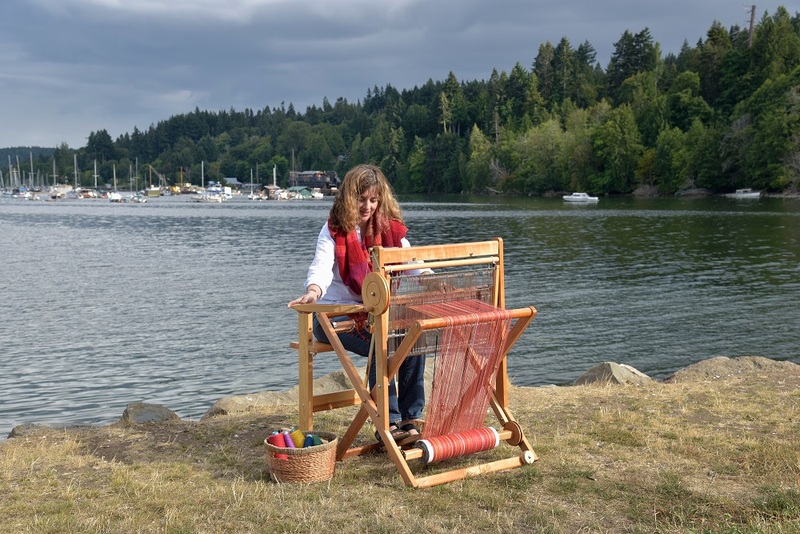 One night the idea of weaving for peace came to me and wouldn’t go away. I kept saying ‘not me, I’ve never done that’ – but the idea persisted and insisted. I kept thinking about the colours, the hands, the threads, the dreams, thoughts and prayers for peace and the metaphor of weaving just seemed to fit. So I approached the organizers with the idea to weave for peace and they loved it and it was so amazing to take my loom and offer the opportunity to people to weave for peace. The idea has grown. When the devastation happened in Japan and then our Blossom Festival was scheduled in early April – it just seemed like the thing to do – offer people a chance to weave for hope and recovery – weaving in the blossom colours and their prayers and thoughts for the people of Japan. 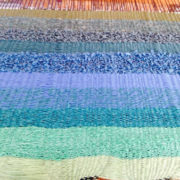 I didn’t know when it started how many lives it may touch – it continues to amaze me – the power of SAORI weaving! What wonderful, worthwhile sharing. On all levels.